Tamne shu lage cheee ? 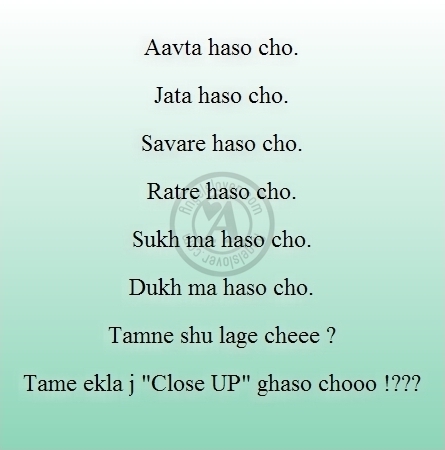 Tame ekla j ""Close UP"" ghaso chooo !?? ?